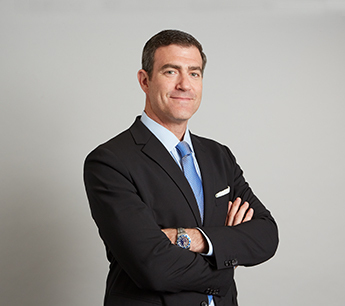 Avi Cotter joined RKF in its New York office as a Senior Associate. He brings more than 15 years of experience in national retail tenant expansion. His current focus is primarily on tenant representation in the New York Metropolitan area and throughout the U.S. on behalf of clients that include Peloton Cycle and The Children’s Place. Prior to joining RKF, Avi most recently served as the Director of New Market Expansion for Blink Fitness. He also held senior real estate positions with Theory/Helmut Lang and Calypso St. Barth concentrating on flagship street locations, as well as The Children’s Place, Ann Taylor and L’Occitane, where he focused on regional shopping center sites. Avi was born and raised in Los Angeles and has lived in New York since 2000. He earned a Bachelor’s Degree in Political Science from UCLA and a Juris Doctor Degree from Washington College of Law at American University. He is a licensed Real Estate Salesperson in the state of New York and a member of the International Council of Shopping Centers. Avi is an active charity marathon runner, supporting the Memorial Sloan Kettering Cancer Center and the Leukemia & Lymphoma Society.